From Head Shops to Whole Foods tells the forgotten story of activists who established small businesses to advance the goals of political transformation and cultural liberation. 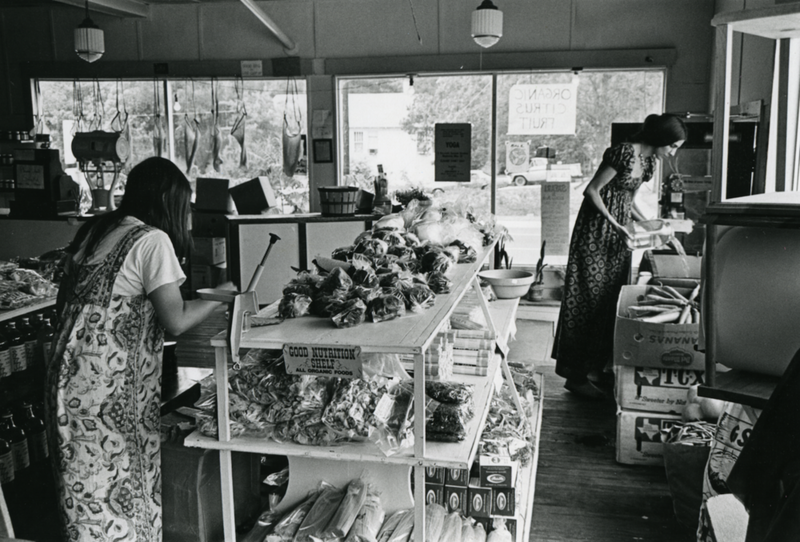 In the 1960s and ‘70s, a diverse range of storefronts—including head shops, African American bookstores, feminist businesses, and organic grocers—brought the work of the New Left, Black Power, feminism, environmentalism, and other movements into the marketplace. Through shared ownership, limited growth, and democratic workplaces, these “activist entrepreneurs” offered alternatives to conventional profit-driven corporate business models. By the middle of the 1970s, thousands of these enterprises operated across the United States—but only a handful survive today. Some, such as Whole Foods Market, have abandoned their quest for collective political change in favor of maximizing profits. Vividly portraying the struggles, successes, and sacrifices of these unlikely entrepreneurs, From Head Shops to Whole Foods writes a new history of social movements and capitalism by showing how activists embraced small businesses in a way few historians have considered. I challenge the widespread but mistaken idea that activism and political dissent are inherently antithetical to participation in the marketplace. This book uncovers the historical roots of contemporary interest in ethical consumption, social enterprise, buying local, and mission-driven business, while also showing how today’s companies have adopted the language—but not often the mission—of liberation and social change. Columbia University Press published From Head Shops to Whole Foods in August 2017. Rigorously researched and carefully written, From Head Shops to Whole Foods uncovers one of the most unrecognized groups of the American activists in the ’60s and ’70s—activist entrepreneurs. They were widely influential then and remain so today. This book is critical for understanding contemporary companies that celebrate ethical practices and social change. From Head Shops to Whole Foods offers an important look at the afterlife of the direct action campaigns of the 1960s, recasting the history of small business as a desegregated history of American politics. With a critical eye and swift prose, Davis’s book recognizes the centrality of entrepreneurial politics as an expression of—and in the making of—American political culture, writ long and writ large. Truly exceptional. Davis has rewritten the sixties. His compelling account reveals how sixties radicals and rebels fought to co-opt capitalism to create a more just, diverse, and free marketplace. They lost more battles than they won, but their victories continue to shape our world. Joshua Clark Davis’s new book is a brilliant tour through a history yet untold, illuminating the fascinating past of a contemporary marketplace that eagerly brands itself as countercultural but which has largely abandoned—even as it has been irreversibly shaped by—the activist politics that inspired it. In this beautifully written, elegantly conceived, and deeply researched book, Davis traces the histories of 1960s-era small enterprises aimed at alternative forms of capitalism. His clear prose and sharp analysis illuminates the U.S. economy’s appetite for reform under capitalism. An essential work. Joshua Clark Davis makes a compelling case that the businesses he examines provide a useful vantage point on the counterculture while also allowing a new perspective on today's business...[and his] approach is strong as a vehicle for demonstrating nuances within the underlying social movements. Davis's book makes a valuable contribution to the study of American capitalism and consumerism. It reveals some well-worn paths in American history but in new ways, while also establishing some of the ironic origins of today’s corporate citizens. [From Head Shops to Whole Foods] avoids the stilted language of the academy to produce deft descriptions of African-American bookstores, the head shops of the drug counterculture, the businesses of second-wave feminism, and the arrival of health-food stores and their corporate apotheosis. Using solid, representative examples, Davis traces each vein of activist entrepreneurialism to show how activists’ original intentions were frustrated, altered, or abandoned. Scholarly in tone and approach but accessible and of interest to students of business history as well as to budding entrepreneurs.